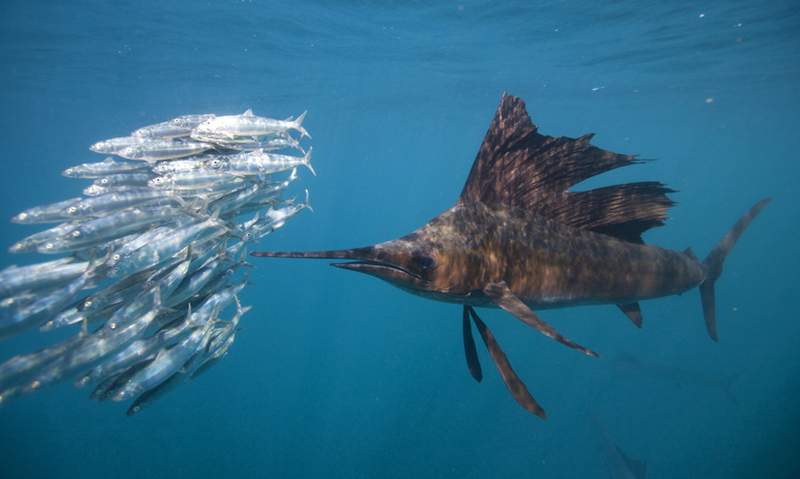 Journey to the east coast of Africa as dolphins, sharks, whales and birds converge to feast on migrating sardines, the greatest shoal on Earth. From May to July, millions of sardines migrate to warmer waters around the coast of South Africa. During the sardine run the shoals are trailed by a mass of predators, such as dolphin, sharks and whales. Working together, dolphins use sonar to detect, encircle and trap the sardines creating a 'bait ball' at the ocean surface. The bait ball attracts gannets, sharks and whales. One of the most important migrations on Earth begins with a little fish: the sardine. Over three months, from May to July each year, millions of sardines travel from cold Antarctic waters, up the east coast of South Africa, following the movement of phytoplankton on which they feed.